PGA Australia chief Max Garske –one of the most influential figures in golf in this country — is stepping down from his post after 23 years as CEO. He leaves behind a very different organisation to the one he joined back in 1985 and a legacy of achievement that will be difficult to emulate. When Max Garske arrived from the Central Coast to begin a career with the PGA, he could hardly have envisioned where professional golf, and the game itself for that matter, would be almost 27 years later. A man with a teaching background who started at the PGA with a charter to reshape the education of trainees and the vocational members, Garske would go on to oversee significant change and incredible growth as CEO. After a long and distinguished career, Garske departs the ranks in 2011, riding off into the sunset as one of the most influential figures in Australian golf over the past 20-plus years. 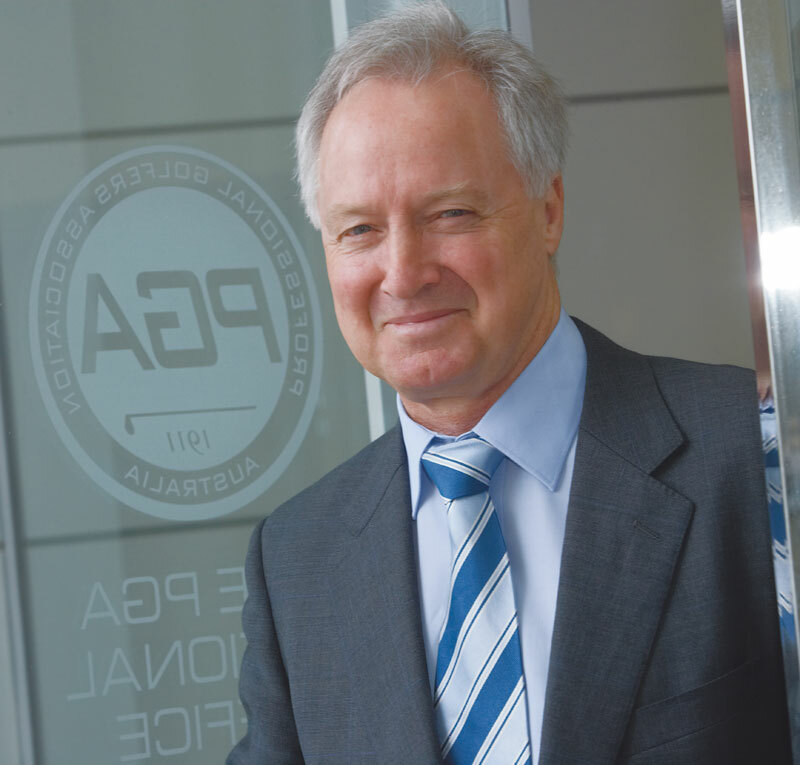 Garske began his journey in the golfing industry in the education role at PGA Australia in 1985. From there he was elevated to CEO in December of 1988, remaining in that post until his recent retirement announcement. 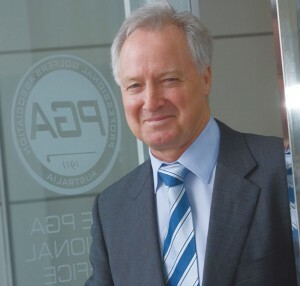 Now, during the first half of 2011, he hands over the reins to newly appointed CEO Brian Thorburn. “My contract runs through until the end of July. Initially when we were talking about it we didn’t think the appointment (of a replacement) would be made until March or April, so I said I would hang around,” Garske explained. It all began for Garske when appointed Education Director, the first national appointment to an organisation which was previously driven by the respective states. His primary function was to evaluate and to re-design the trainee and education programs. A former phys-ed teacher, Garske had returned to University to further his education, primarily relating to studies concerning the coaching of elite athletes with an emphasis on his first sporting love of rugby. It was while studying in Perth he recognised the possibilities of a career in the sporting sphere. “Going to Uni in WA really opened my eyes as to what was out there in the sporting arena and when I came back to NSW after I finished that degree in Perth, I started looking into other things outside of teaching,” Garske said. His first foray into the commercial world was setting up a gym at the Central Coast Leagues Club, before he got a knock on the door alerting him to an opportunity with the PGA–back then an organisation with a staff of just seven across all states and territories. Garske ventured to Sydney, met with General Manager Don Johnson and tried to acquaint himself with golf’s inner workings. It wasn’t long before Garske was elevated from Education Manager to CEO at the PGA, bringing him face-to-face with one of the legends of the game in Peter Thomson, the then Chairman of the Board at PGA Australia. “The first meeting I went to with Thommo as Chairman, his comment was ‘Welcome Mr Garske, it’s nice to have you on board. But you’ll have to understand I don’t actually believe we need this role’. I can remember my answer to him was ‘If in 12 months time it’s not working, I wouldn’t want to be here anyway,’” Garske recalled. Garske would go on to ride the highs, as well as the occasional low, during the next 23 years, with the list of achievements under his leadership considerable. The incredible success of the Holden Scramble, which celebrated 20 years in 2010, was a crowning glory, as is the current position of prominence enjoyed by the Australian PGA Championship, while the amalgamation of the operations of the PGA and PGA Tour was a long time coming but once achieved a positive step forward for professional golf in Australia. 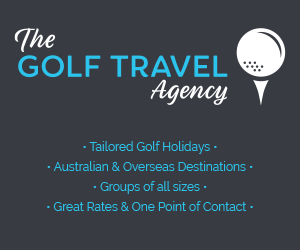 Finding a home base for the PGA at the Sandhurst Club in Melbourne was another masterstroke, while the formation of the OneAsia Tour showed foresight and now guarantees the future of some of Australia’s biggest tournaments. Garske and his team were instrumental in both significant initiatives. But is it the continued success of the Scramble which gives him perhaps the greatest satisfaction. “I still get a buzz out of seeing the National Final of the Holden Scramble and people that come there who have maybe never been on a plane, or who play all their golf on sand scrapes. It just blows them away,” he enthused. Another challenge for Garske and his team was to reinvent the PGA Championship, a tournament struggling during the 1990’s for both identity and commercial support. In a bold decision they moved to a permanent home on the Sunshine Coast at the Hyatt Coolum, taking the championship to where it is now viewed by many, players included, to be the highlight event of the Australian golfing summer. “We tried a few venues, Sydney, Victoria, Queensland, tried it at Royal Queensland and even with Greg Norman as a partner we still couldn’t get it to grab hold and to grow,” Garske said. “It was a risky decision (taking it to Coolum) but we thought we’ve got nothing to lose. We felt we needed the engagement of the local community to help grow the whole thing and the Sunshine Coast really got behind it. OneAsia has been one of the latest ventures entered into by PGA Australia, with early projections indicating a big future. “In terms of the commercial viability, we don’t have a choice. We’ve got to be a part of the Asia Pacific region and to lock into the financial opportunities that are available across the region,” Garske said. And finally the coming together of the two professional golfing bodies back in 2007, with the amalgamation of the PGA and PGA Tour of Australasia recognised as a major step forward for professional golf in Australia. “I started talking to the Tour seriously about amalgamation in 1996, so it did take a little while. We took a couple of cracks at it and got close but didn’t get there for various reasons. In the end we had two organisations and two boards who were committed to doing it and it happened. But it wasn’t easy,” Garske said. While he may have joined the PGA as a golfing novice, some three decades later Garske is set to leave with a wealth of knowledge, a love of golf and some strong opinions as to where the game is positioned. “The sport has so much to offer. It is the most respected sport in the world because of the way it is played and the quality of the people that play it, talking from the point of sportsmanship and ethics,” Garske began. “I hate speaking negatively about the game, but if there is a problem, and I think it’s a global problem, it’s the way golf is in terms of its administration. Where you have so many organisations involved with different sections of the industry you have fragmentation, where sometimes there are organisations within golf competing against each other, which in reality is ridiculous. “That’s not our competition. The competition is other sports and pastimes that are pulling golfers away to do something else. Somehow this sport has to find a way of rationalising the industry so that it is able to go out and collectively market. To be fair, some of those things are happening, they’ve just got to happen a lot faster. “From a PGA perspective, I think it is in a very strong position, both financially and organisationally in comparison to where it was in the beginning. And that is due to a whole bunch of people. I’ve got no doubt we are the strongest golfing organisation in this country, both in terms of administration and financially, and the PGA is the organisation trying to get everybody together to help drive the sport,” Garske added. As for the short term, after his long and outstanding service to the sport, nobody could begrudge Garske a break. You wouldn’t blame him if he didn’t want to look at another golf course or touch another set of clubs. While that might make sense, actually he has plans which are quite to the contrary. “I’ve started taking some lessons and I want to enjoy the game again, the way I used to. I’m going to get some sleep and get out and relax a bit. I want to have three to four months break and I want to play a lot of golf,” Garske said. Editor’s note: On behalf of Inside Golf – and golfers across the country — we would like to thank Max for his hard work and dedication to Australian Golf. We’ll see you on the fairways Max!